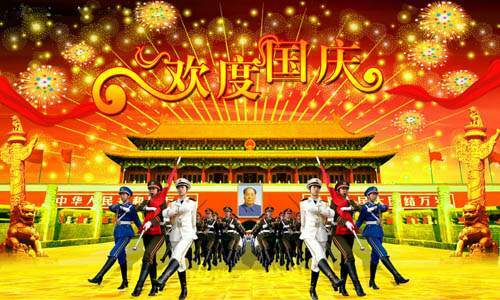 The celebration of National Day in China has changed for many times. 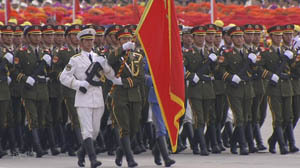 During the period of 1950s, there were large-scale celebrations every year, at the same time with an inspection of troops. 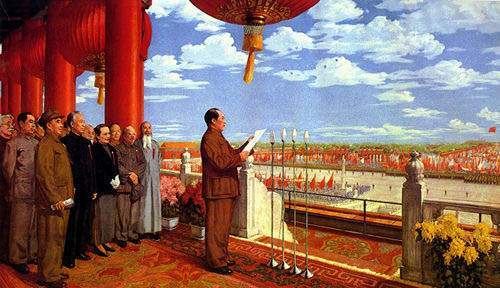 In September, 1960, the Central Government of China decided to reform the system of National Day’s celebration, with a guide line of economical. 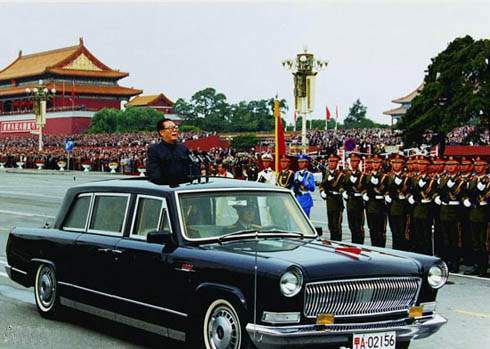 Then during the period of 1960 to 1970, there are National Day parades in Tian’anmen Square (tiān ān mén guǎng chǎng 天安门广场), but no inspection of troops. When the anniversary is a multiple of five (e.g. 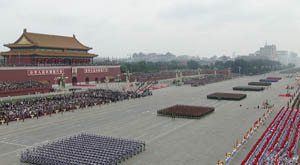 the 50th, 55th, or 60th), large scale official celebrations may be held, including an inspection of troops on Tian’anmen Square. More notable of these events included the inspection in 1984, the inspection in 1999 and the inspection in 2009.